Description: This doll is 18 inches tall with a background piece of 20 inches. 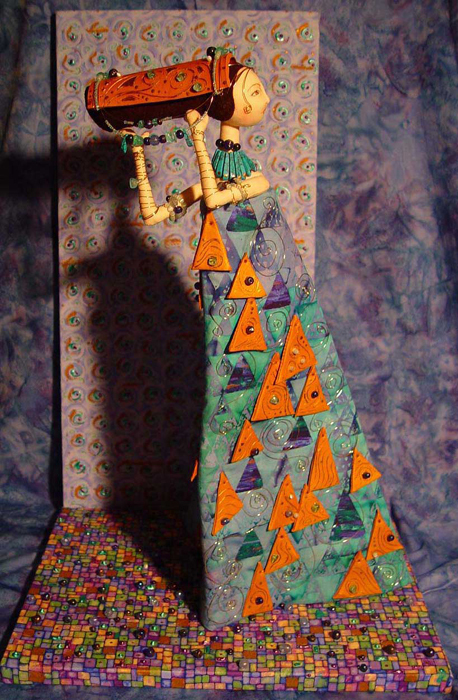 She is an original work in cloth. 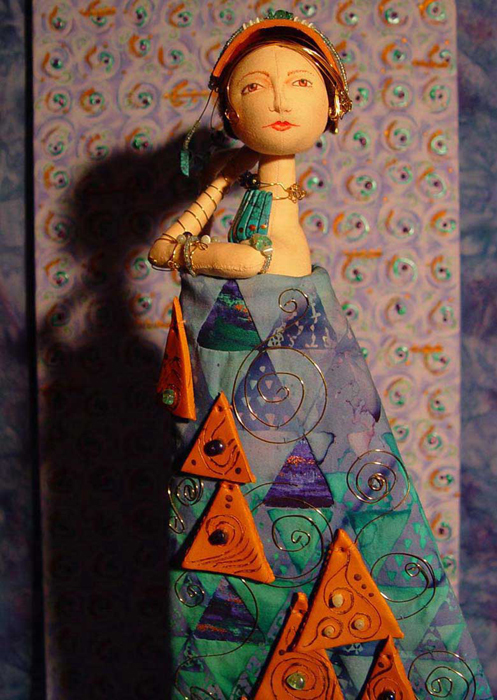 Inspirations: Intrigued and fascinated by Gustav Klimpt since discovering his work, I took this opportunity to create a doll in his style. I am especially drawn to the dichotomy created by the figure's stasis within within the fluidity of light on metals and jewels. His work incorporates the romanticism of Art Nouveau with clean linear geometrics. Barbara Willis: A portfolio bag with some doll making goodies in it. Sandra Corson-Walker: Some fabric and notions. Marta Santiago: A brand new book: Designing the Doll: From Concept to Construction by Susanna Oroyan .